Last week, a staff member at Oakland California Youth Outreach (OCYO), Louie Serrano and one of his coworkers were walking through East Oakland when they saw two men in a heated argument. Because Serrano’s teammate knew the young men from the neighborhood, he was able to calm them down, pointing out the insignificance of the quarrel. It was a lucky intervention. Both men were carrying guns and the argument was escalating. “Somebody was going to die that night had we not been there,” Serrano says. According to Godfrey, the street outreach teams are placed in neighborhoods where they have acquaintances so that they’re familiar with the cultural climate. The teams then try to establish relationships within the community, while also identifying key players in areas that have been recognized by the Oakland Police Department as having high crime rates. “They get wind of something transpiring, and they’re so connected to the communities that they’re able to get in and talk to the parties before it happens,” says Godfrey. Because all of the staff members are from Oakland, Godfrey adds, they know the culture of the streets and many of them have walked in the shoes of their clients. With the exception of Godfrey, most of the staff were formerly involved in street life before deciding to turn their lives around. The trainings attract a variety of clients including Oakland Unified School District teachers, probation officers, case managers and youth intervention specialists. Lasting from one to eight hours, the trainings explain aspects of gang life, like the fact that most gangs follow a chain of command, with the ‘general’, or leader of the gang, often directing underlings from behind bars. “Usually the shots are being called from inside a prison,” Serrano says. The programs also provide tips on how to identify signs of gang membership. Carlo Tateo, who runs the trainings, teaches the significance of different attire in criminally involved youth. For example, a gang member planning to commit a crime might wear an inconspicuous outfit, like a black hoodie, so that he can blend in with the people in the neighborhood. The hoodie can also help a perpetrator evade police, since the description will match that of many other young men in the community. In some cases, the classes may include a description of the different weapons used on the streets, the nicknames for them, and where they might be concealed; baggy pants, for instance, might be used to hide a heavy weapon. Now, Tateo says, OCYO staff members are seen as role models in their neighborhood because they managed to turn their lives around. “Everyone is here to change Oakland,” he says. 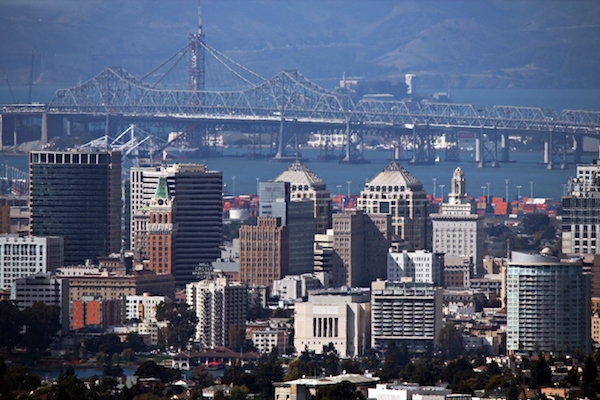 An ‘Oakland Gang Awareness Training’ will take place in Oakland on November 21 at 9 am. Contact shirley.yee@ousd.k12.ca.us for more information. 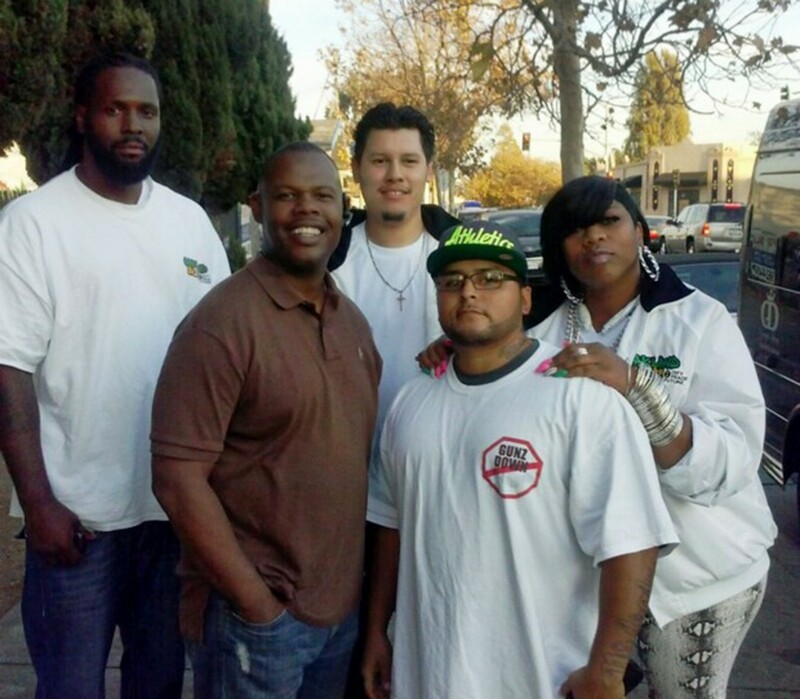 The Street Outreach team prevents conflicts on the streets of East Oakland. From left to right: David Washington, Ron Wysinger, Christopher Figueroa, Louie Serrano and Dawn Skelton. Photo Credit: Oakland California Youth Outreach. wager count number for your uoshot ithin the actyual presume. cash. You can personally do the betting at home even if you like the casino type gambling. Olsen fashion sisters are loyal fans of the 1920s style. a white Ralph Lauren dress. Should you be a novice with regards to sewing, you can start with something simple and improve the skills necessaryy for harder projects.